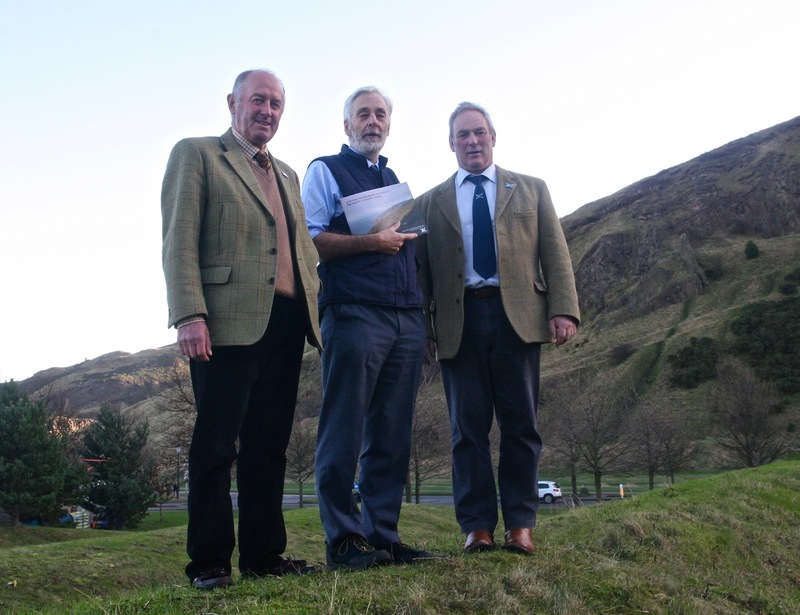 Scotland’s gamekeepers have launched a new report aimed at halting the ‘unthinking’ loss of Scotland’s globally rare moorland landscapes. Seventy five per cent of the world’s remaining heather is found in the UK, with most found in Scotland. Yet despite the defining role open moorland landscapes of all types have played in the nation’s history and psyche, Scotland has never had a unified national policy to retain its signature treasure. The dramatic open moors lure international tourists, generate vital rural employment, are home to threatened bird species and have inspired artists, writers and film-makers. However, a lack of a policy vision has seen huge areas of open moorland being lost in this country since the 1940s, with afforestation and reclamation for farming hastening its fragmentation. An estimated 20 per cent of heather moorland disappeared between 1940 and 1970, a decline which continues today with new emphasis on energy and woodland expansion. Indeed, if the Scottish forestry strategy target of 25 per cent of land under trees by 2050 is realised, potentially a further 5000 sq km of moorland will be lost, as trees will have to be planted on open moors. The Scottish Gamekeepers Association say the devaluation of one of Scotland’s greatest national assets cannot be allowed to continue blindly, through the lack of a unifying objective. Today (Dec 8th) it launched, A Future for Moorland in Scotland: The need for a locational strategy at an event in Edinburgh, attended by heritage bodies and MSPs. The 34 page report, authored by independent ecologist, Dr James Fenton – who previously worked for NTS and SNH- maps the extent of the moorland left in Scotland, highlighting the obligations Scotland has to its conservation. It also recommends that woodland creation should be targeted on areas already fragmented in places where moorland remains common, to avoid complete disappearance in some regions. “Bearing in mind the importance of moorland to Scotland’s landscape, biodiversity and economy, it is surprising that there is no strategic policy guidance available, similar to the Scottish Forestry Strategy for trees and the regional Indicative Forestry Strategies,” the report says. Scottish Gamekeepers Association Chairman Alex Hogg believes the importance of moor habitats should be reflected in the forthcoming Land Use Strategy 2016-2021, under consultation until January 29th. He fears that, without a proper pause for thought, Scotland could lose species like the Curlew forever. “This report is not a ‘no-trees’ policy, but a ‘where-trees’ policy. It acknowledges competing demands on land use and makes sensible suggestions as to where moorland must be retained and where we can afford to lose bits without breaking the whole thing. “We need to value these special landscapes again instead of paying lip service, and place them at the heart of our land use strategy. Last week, the Curlew was placed on the red list and described as the UK’s most pressing conservation concern. Dr James Fenton said: “Perhaps because it has always seemed to be common, we tend not to value our moorland in Scotland even though it defines our upland landscapes. Our open moors and hills are our speciality which distinguishes us from our European neighbours. “It is surprising, therefore, that there is no strategic guidance for its conservation and that we continue to accept its loss in an ad hoc manner. *********The Scottish Gamekeepers Association represents 5300 gamekeepers, stalkers, land and river ghillies, wildlife managers and rangers across Scotland. The report’s author, Dr James Fenton, is an independent ecological consultant based in Argyll. Previously he has worked as a scientist for the British Antarctic Survey, been the first Ecologist employed by the National Trust for Scotland, worked with Scottish Natural Heritage on landscape policy, and, most recently, been CEO of the Falklands Conservation in the Falkland Islands. This report represents, as its subject, a locational overview of land use type in Scotland. It is not intended to add to the myriad scientific reports or studies on woodland or moorland management. Printed copies of the report ‘A Future for Moorland: the need for a location strategy’ can be obtained by contacting the Scottish Gamekeepers Association on 01738 587 515.